Hawaii has always had a special interest to us and this is because of the surf culture on these islands (wave surfing originated here and we both surf ourselves). When our daughter Jade was 2 months old we decided, while drinking cup of coffee one Saturday morning, that our next trip would be to Hawaii. You wouldn’t believe it but right after we finished our cup of coffee we met a woman who owned a huge house on Hawaii. It was then that we knew this trip was meant to be. We were able to rent her house for a very reasonable price and so, 5 months later (in June), we got onto the plane and went on our way to Hawaii with a baby. Hawaii with a baby, isn't that very far?! The flight to Hawaii takes really long. First, we fly to Los Angeles, where we have a 3-hour stopover. From there it’s a 6-hour flight to Honolulu. It is a bit exciting with a seven months old baby but Jade behaves perfectly and we keep our calm. After 25 hours of flying, we land on Hawaii, a magical place!! Most people think of Hawaii in bounty beaches and palm trees. 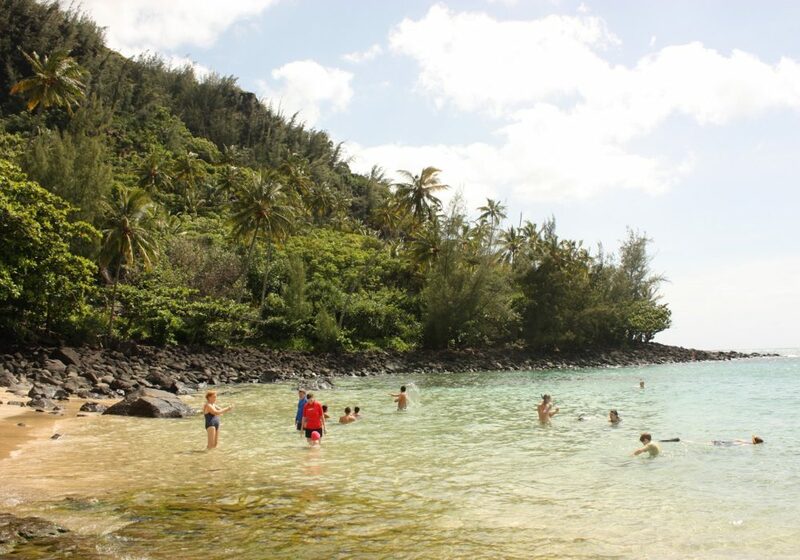 Which they have of course, but Hawaii has a lot more to offer, and for kids too. Did you know Jurrasic Park and Jurrasic World were filmed here? 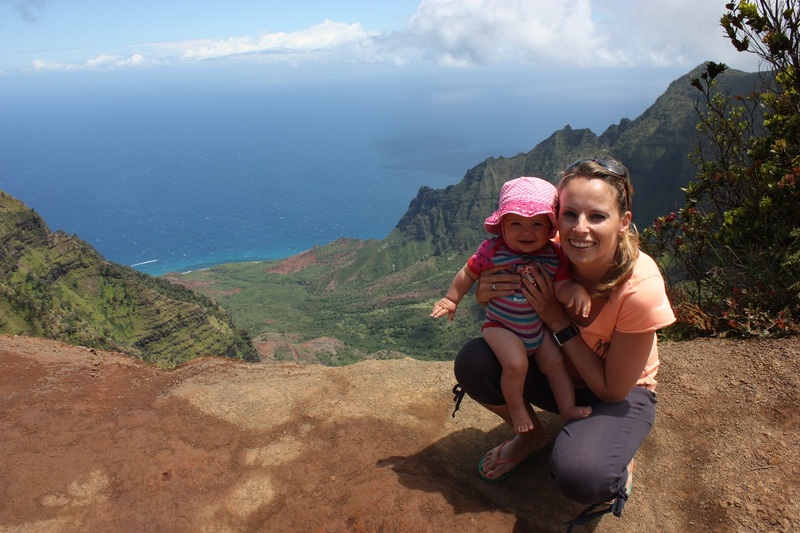 What can you do on Hawaii with a baby? We start our trip on Kauai (on the first day we took a plane from Oahu to Kauai), in a big house in Kapaa. This village is located halfway across the island. From Kapaa it takes about an hour to get to the most Northern point of the island and an hour and a half to get to the most Southern point. So it’s a pretty good place to stay. The village itself is rather small but there are a couple of coffee places open at 6 in the morning which is really nice if you still have a bit of a jet-lag, like we do. We often find ourselves there, after we’ve watched the sun rise on the beach. 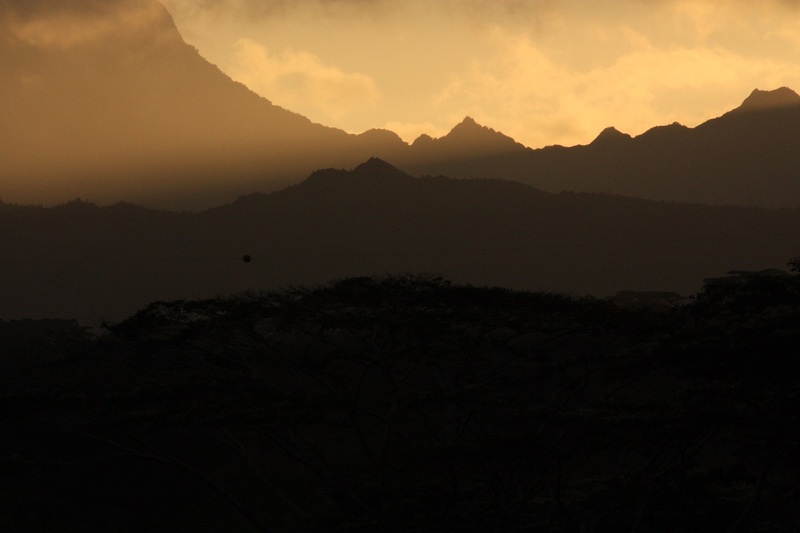 We stay on Kauai (also known as the flower island) for two weeks and quickly find out the island is breathtaking. It’s a volcanic island, with mountains and rugged shapes. It often rains at night and it’s warm during the day when the sun shines brightly. 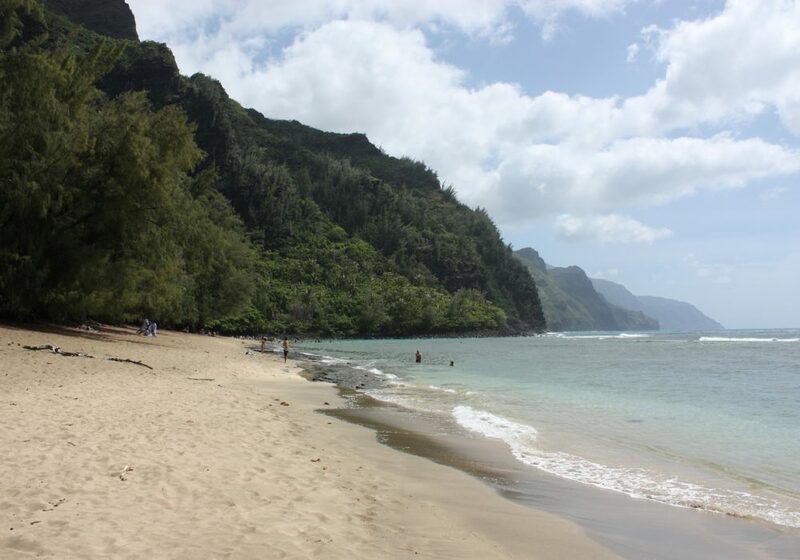 Kauai has endless stretches of beautiful beaches, which is lovely when you visit Hawaii with a baby, and there are a couple of spots you certainly must see. 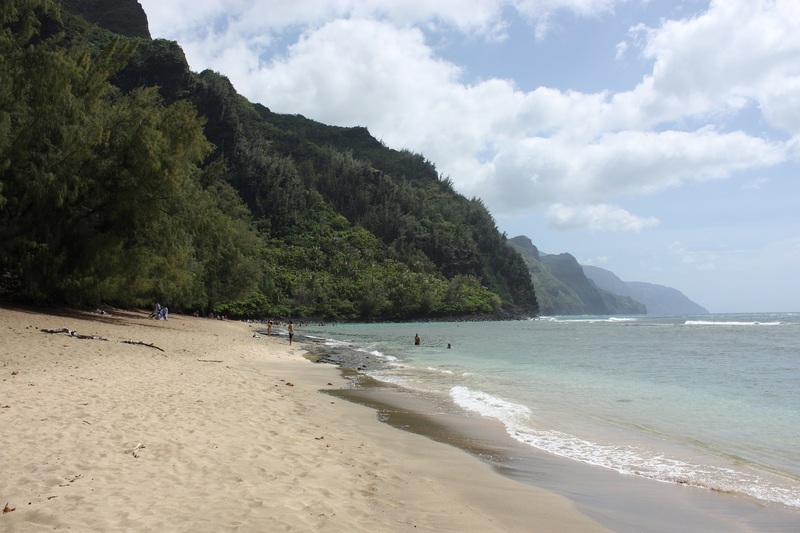 The most northern beach you can reach by car is Ke’e-beach; a beautiful beach where the mountains practically end in the sea. From this point you can make the most beautiful walk along the coast. 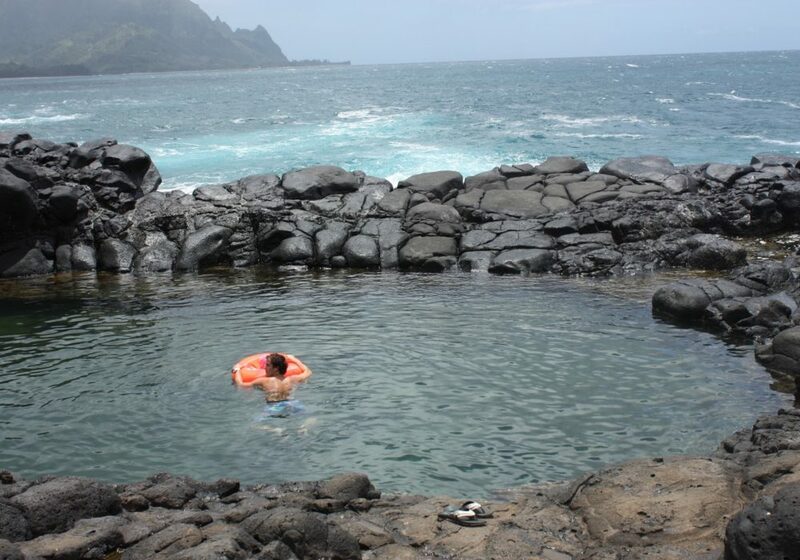 Queens Bath (in Princeville) is only a half hour drive from here. It’s a magical place that one can only find with the help of locals (you just have to ask, people love to help you). First, you need to walk straight down, through the jungle. We put Jade in the carrier and traded our slippers for sneakers. This way, the hike is easily done. After 15 minutes we reach a couple of lava pools that border the sea. We are lucky the water level is low so we can swim in the pools. Even Jade goes into the pool with her large float. 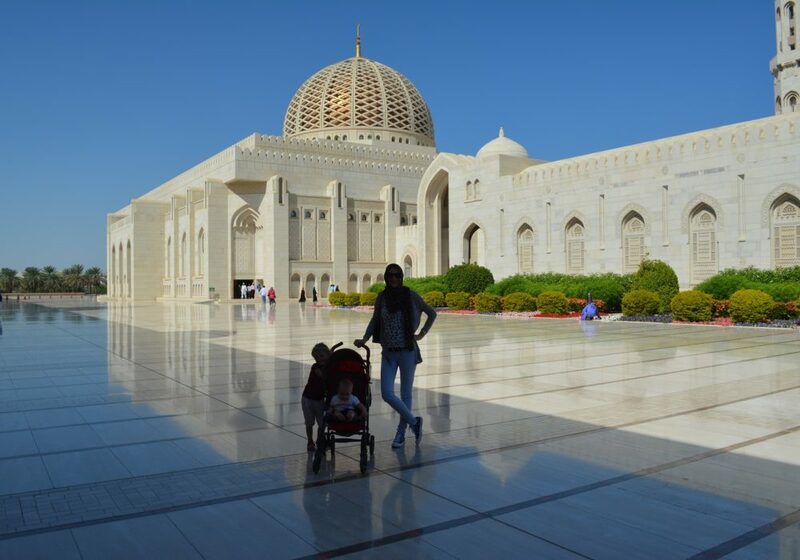 It’s hard to describe the beauty of this place and yet there is a place that leaves us even more breathless. 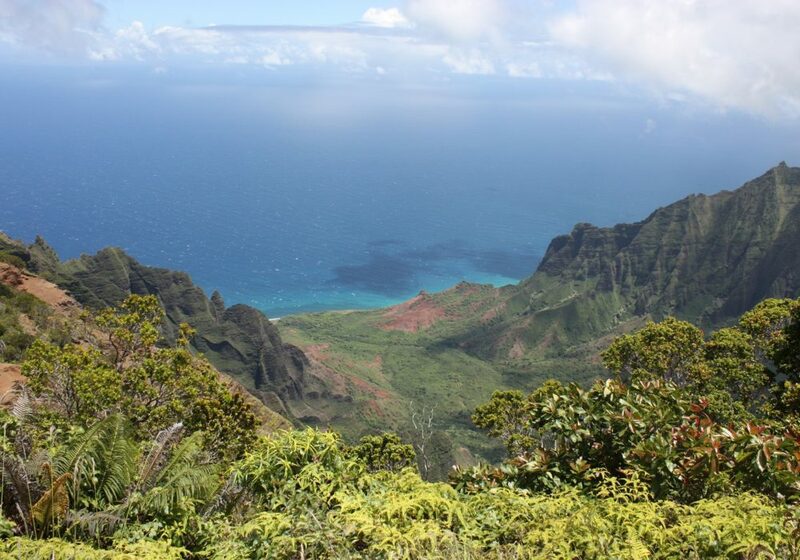 This is the Napali Coast. From Kapaa it’s a couple of hours driving but the trip itself is incredible! In the car you can ride up slowly through the canyon until you reach a point from where you can see a valley. 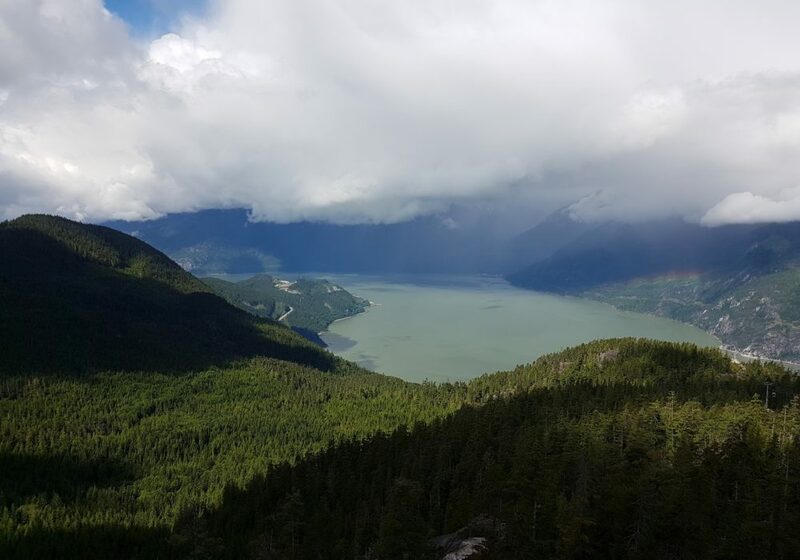 The valley is a color spectacle filled with mountains, a bright blue sea and greenery. In the morning it’s often really clear and you have the best chance of a good view, so it’s important to leave in time. For us, this was the absolute highlight of the trip! After a wonderful time on Kauai, we go to Maui for 8 days. 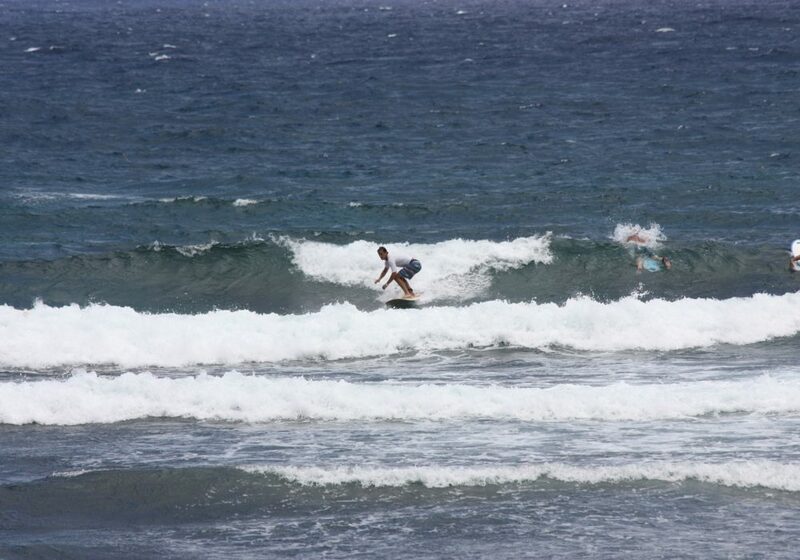 There, we surf the south side of Hookipa, even between the sea turtles. We take turns into the water, usually during Jade’s sleep (she sleeps easily in the pram), and this works relaxing for the both of us. 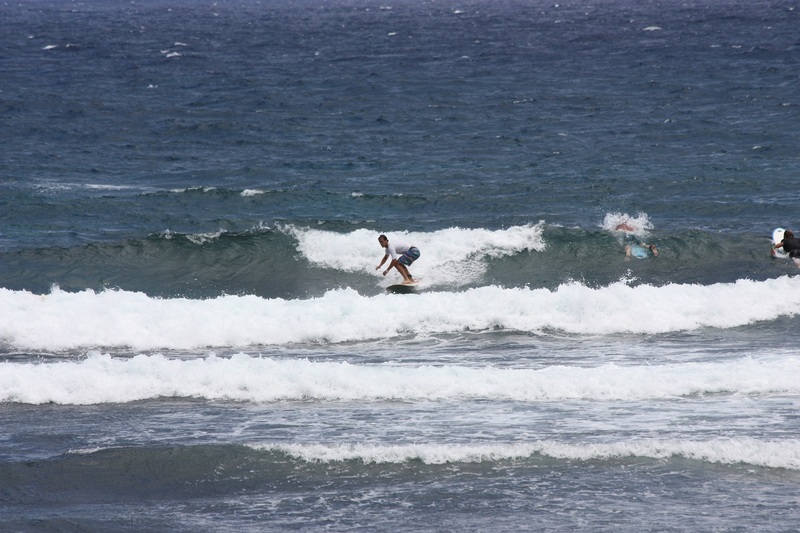 What we love about Hawaii is that a lot of children learn to surf here, like Dutch kids learn to play soccer or Hockey. We often see parents surfing with their kids. Fantastic! 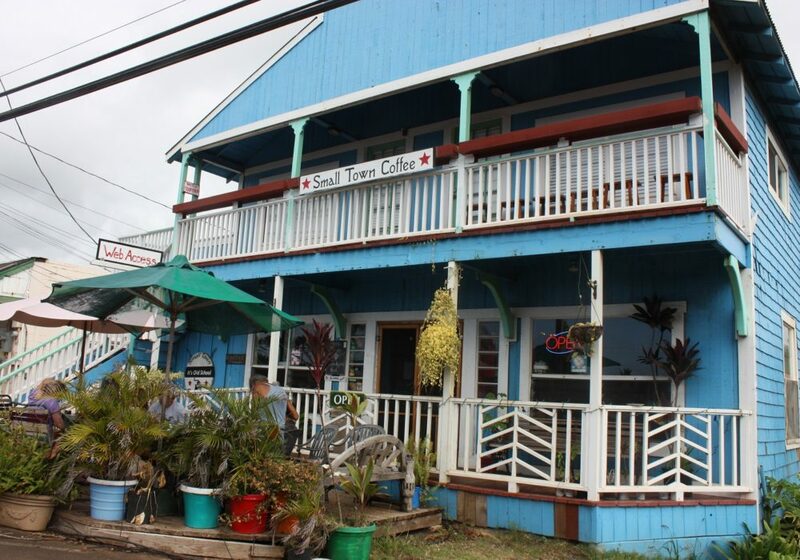 We arranged an apartment ourselves through Home-away in Paia. This is originally a hippy village with a good surfing-vibe, but it’s rather touristic nowadays. 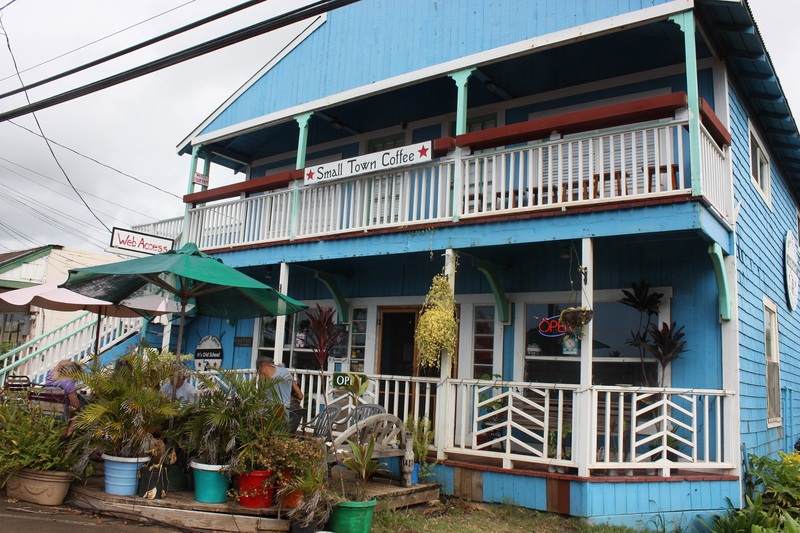 From Paia it’s certainly worth taking the road down to Hana, a beautiful road along the coast with waterfalls. Just past Hana you can visit the Bamboo-forest and a huge waterfall. Maui has a volcano that has a road that takes you all the way up to the crater. It may take a while but you get a great view over the island. 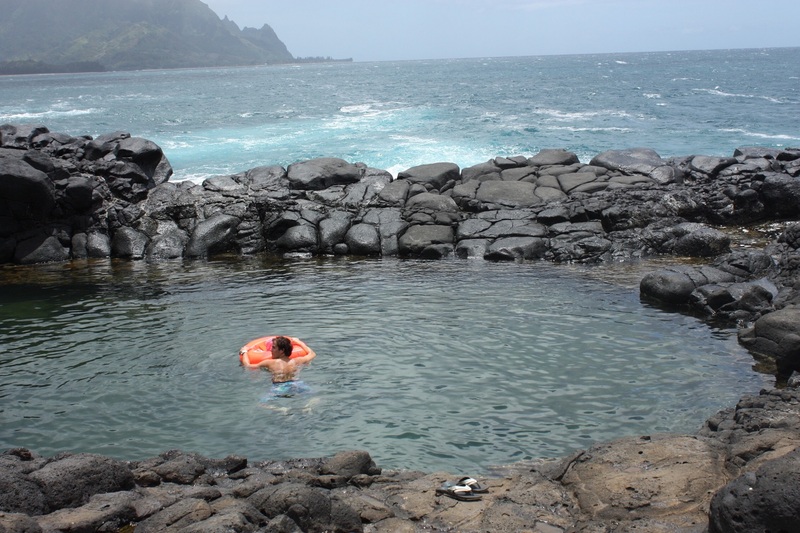 On Kauai, Maui and Oahu there are lot’s of places that have laid out lagoons. These are beaches that are secluded by rocks so the waves can’t reach the shore. 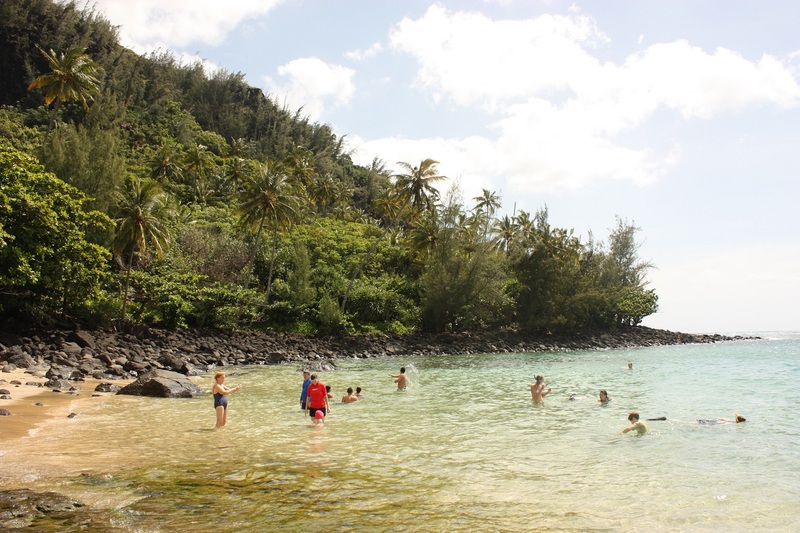 In the lagoons young children can swim nicely because there is no current and no waves. Ideal when you go on holiday to Hawaii with a baby. We spend our last three days on Honolulu. It’s the perfect place to learn how to surf, although it can be rather busy there. To get that ultimate Hawaii feeling they have Hula dancers performing along the boulevard in the evening. Lovely touristic but a lot of fun! 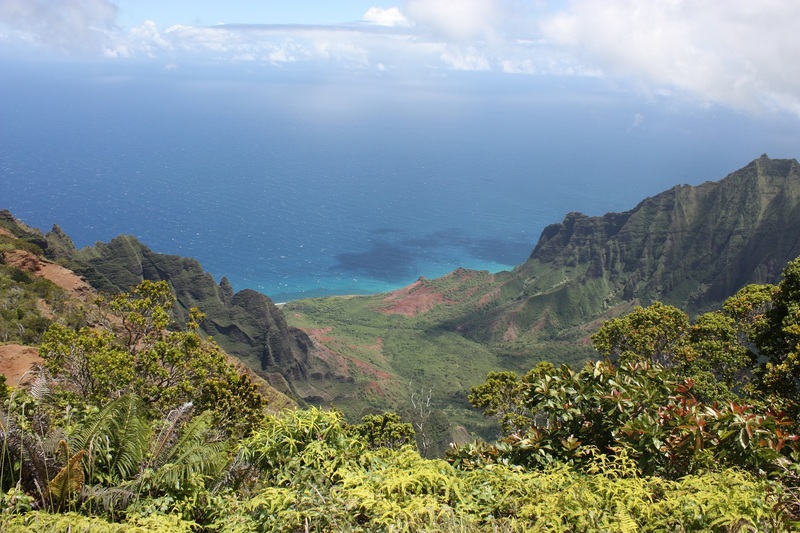 All in all Hawaii is a beautiful place for nature lovers. The views are phenomenal. There are a lot of biological places to eat too. Luckily we don’t have to visit a doctor during our trip but it’s good to know they have good medical care when you are travelling with young children. 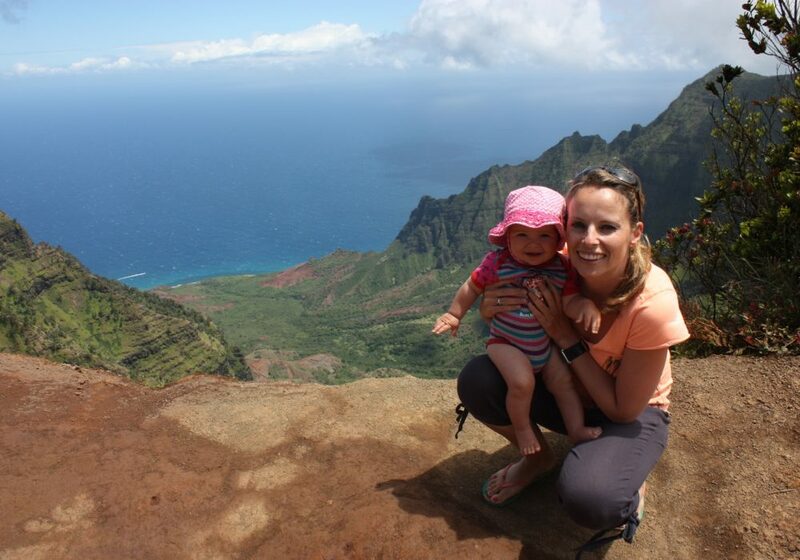 I can recommend Hawaii to everyone, even with a baby. If you’re not that into surfing you can just as easily combine the islands with two weeks of California. For us, Hawaii is the best trip we ever went on, by far, and we would love to return some day. This article is written by our guest blogger Marieke. She lives Zandvoort with Thijs and their three daughters Jade (8), Bente (almost 6) and Jule (2). Marieke and her family love to travel and try to put some money away so they can go on a trip somewhere far away every few years. In everyday life Marieke is a journalist for RTV North-Holland.